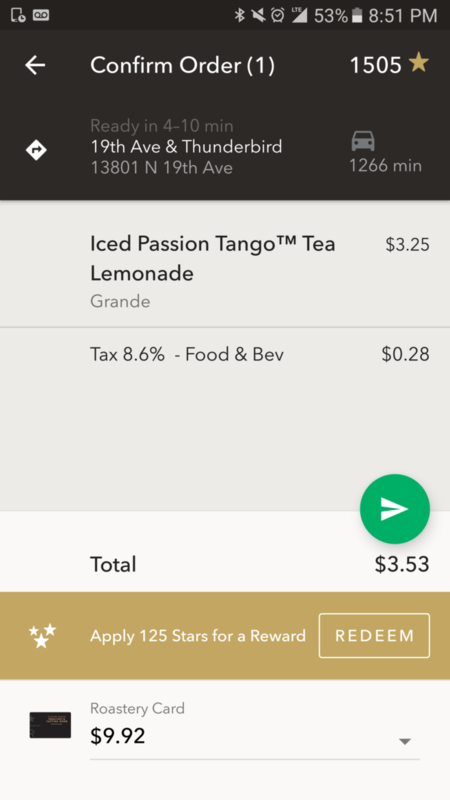 Here’s something fun you can do with the Starbucks app: You can mobile order and pay an order for a store that is nowhere near you. That’s the ‘I don’t think you can get there in time’ message. 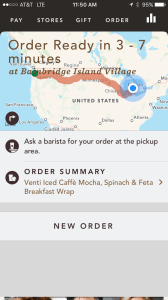 Sure enough, I successfully mobile ordered and payed for a drink going to a store 1,266 miles away from me. I changed my name to #ForSomeoneInNeed. 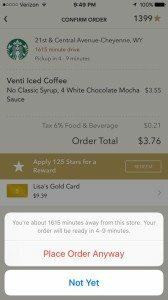 “Pay it forward” no longer means the car behind you in the drive thru. It could be a friend in another state. 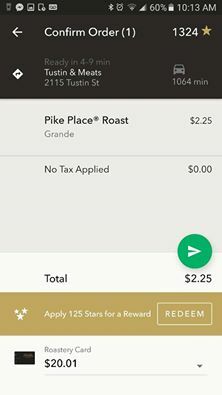 It could be a random store you’re walking by where you just mobile order and pay a Grande Pike Place Roast. It would be hilarious and heart warming at the same time if suddenly stores starting getting Mobile Order and Pay receipts coming in that say, #ForSomeoneInNeed. 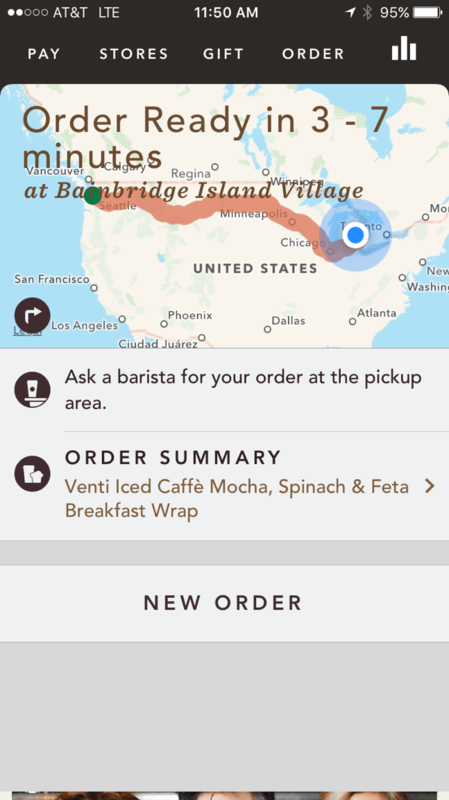 In the iPhone version of the app, you can even get a fun map! I stumbled upon this feature when talking to a friend who recently relocated to Michigan. The friend in Michigan wanted to be able to gift a drink and breakfast sandwich to someone she knew was down on his luck. Her idea: I’ll just mobile order and pay a drink and sandwich to the friend down on his luck. Now it’s up to you to play with this. 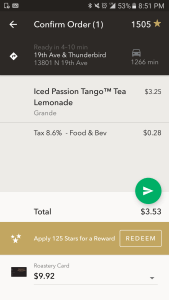 Long distance mobile order and pay. Send a drink to a friend (be sure you coordinate this carefully!) 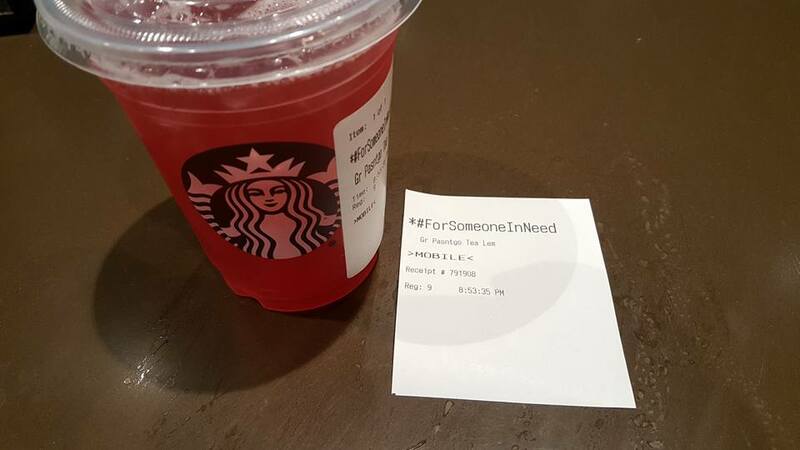 or give a random drink away using the hashtag #ForSomeoneInNeed. If you try this, I want to know how it works out for you! When partners don't have enough time: Labor. I absolutely love this!!! I hope that this becomes a trend! I have always admired the pay it forward act I’ve experienced as a previous Starbucks barista. And making this nationwide is just brilliant!! Love it! I messaged my friend in Vancouver to arrange for me to buy her a morning coffee. Haven’t seen her for years so it’s a nice way to connect again! Great idea!! I, too, am hoping this will catch on. Let’s share, share, share this article, so not only will everyone on our social media pages see it, but it could also drive up the readership of StarbucksMelody. 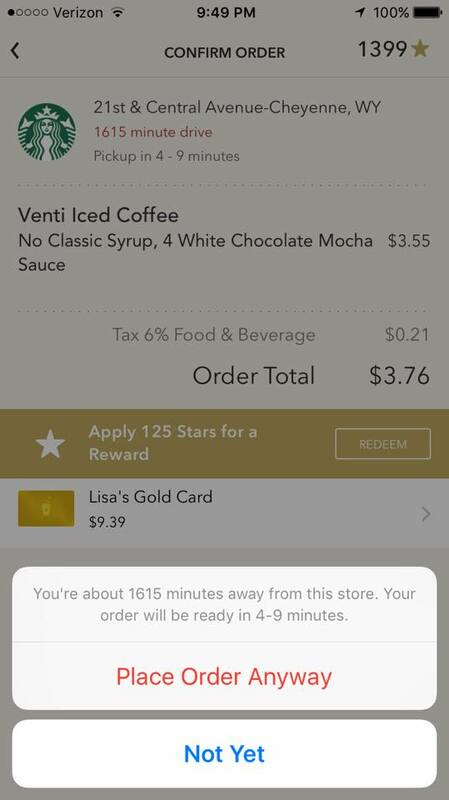 I’m sure Starbucks loves this program as much as anyone else, they profit from every single transaction….. I suggest purchasing water bottles with #ForSomeoneInNeed when there are heat warnings so that baristas may surprise and delight those impacted by the heat. That is a great idea Diele! Reminds me of Jonathan’s Card from 2009, before it shut down.